The name says it all – time as the 4th dimension is an integral part of this highend sawing centre. The 4D is the first vertical saw to offer intelligent cut optimisation. 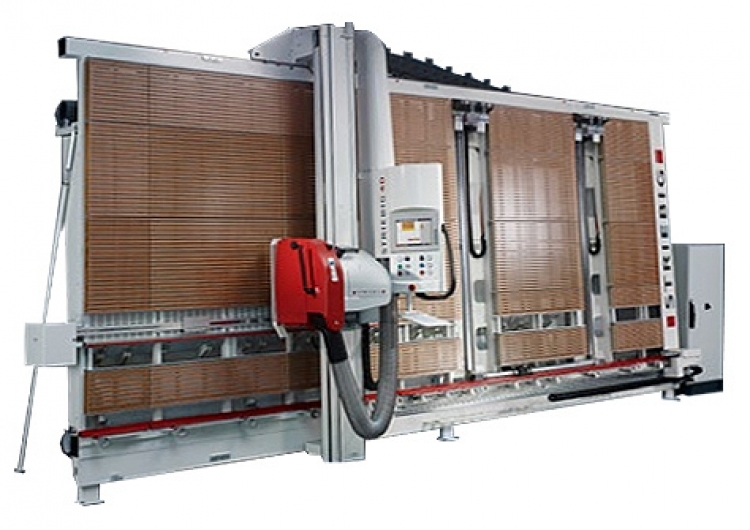 The function is integrated into the saw control system and facilitates an automatic cutting sequence. It thus ensures excellent levelsof efficiency and top material utilization. All horizontal and vertical workpiece movements are performed fully-automa-tically by the Striebig 4D. Easy, almost effortless 1-person operation of the saw sets a new standard. Each Striebig 4D is the tailor-made solution for your company. Customizing is the order of the day. The wide variety of custom options is virtually endless. Special voltages and frequencies on request.